Prof. DN Reddy is currently the Director of CR Rao Advanced Institute of Mathematics, Statistics and Computer Science (AIMSCS), Hyderabad He is also Member, UGC and Chairman, Appellate Committee, NBA. He was Born on 15th August 1950 and obtained his B.E. (Mechanical Engineering) degree from Osmania University, Hyderabad and M.Tech. from IIT Madras. He completed Ph.D. Degree from IIT Delhi in Mechanical Engg. Prof. Reddy specializes in High Speed Turbo-machinery, Propulsion Systems, Renewable Energy Systems and Clean Coal Technologies. Prof. Reddy has served as Chairman, Recruitment & Assessment Centre, DRDO, Min. of Defence during Jun 2012 – Jun 2015 and also Vice-Chancellor, JNT University Hyderabad during 2008-2011 and also has been In-charge Vice Chancellor of Osmania University during Feb – July 2011. Prior to this, he has contributed immensely in the area of academic planning and research as Principal, University College of Engineering, Osmania University for nearly eight years, Dean Faculty of Engineering for two years and also as the Founder Director, Centre for Energy Technology, Osmania University for promoting Renewable Energy Technologies. Prof. Reddy has been bestowed with numerous awards and honours for recognition of his intellectual capability, immense contribution in the field of Engineering by Eminent Engineer National Award from Institution of Engineers, Bharatiya Vidya Bhavan (ISTE) National Award for best Engineering College Principal; Vijaya Ratna Award and Certificate of Excellence; Best Mechanical Engineer Award by the Institution of Engineers; Sarvapally Radhakrishnan Award for Academic Excellence. He has also contributed immensely to many professional societies. Besides, Prof. D N Reddy is Fellow and Council Member of Institution of Engineers and Indian Institute of Plant Engineers and Fellow of A.P. Academy of Sciences and Member of its Executive Committee. In his illustrious career, Prof Reddy has widely travelled in India and abroad. He has supervised 15 Ph.D’s besides having 90 publications. 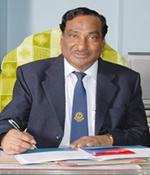 He has significantly contributed in DRDO in the selection and career growth of Scientists as Chairman RAC. He is also helping the technical education in the country as Member of UGC and AICTE. NBA accreditation is formulated as per Washington Accord. He is actively involved in framing of NBA guidelines. NBA deals with the Accreditation of programmes in professional institutions following the criteria of Outcome Based Education (OBE). Prof. Reddy is having wide experience in Accreditation of Programmes, Institutions, Universities in India and associated with NAAC (National Assessment and Accreditation Council), Govt. of India, ISO 9001 certification and also accreditation of programmes following criteria of NBA / ABET. Prof. Reddy actively associated with many professional societies like ISTE, IEI, CSI, Aeronautical Society of India and ASEE (American Society of Engineering Education) and association of Engineers in Malaysia, Singapore.